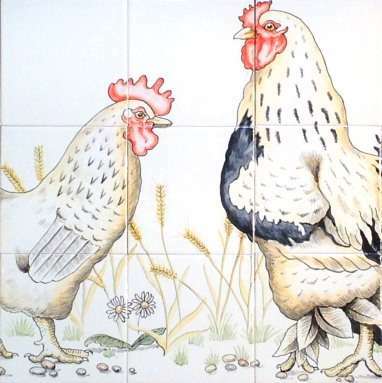 This lovely hand painted panel makes a wonderful focal point for a kitchen. 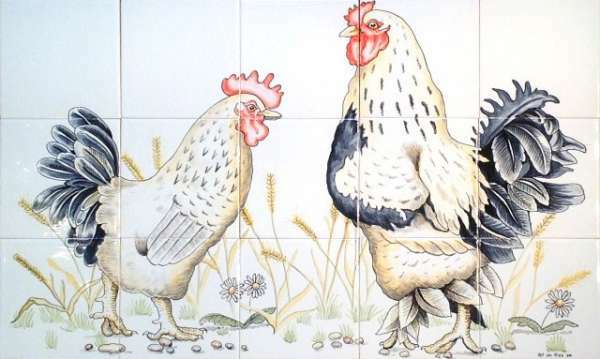 The 15 tile panel is on our standard 5" tile and measures 15" x 25" but can be altered to any sized space. Additional matching blank tiles are available.